Little John Nee brings his legendary musical storytelling to the Linenhall Arts Centre in Castlebar with his latest show The Tea Dance on Thursday October 18 at 8pm. 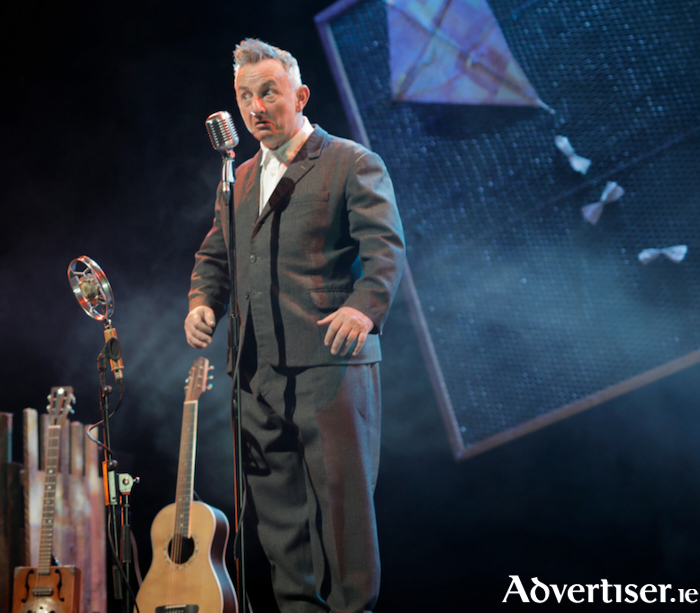 Described as “Under Milk Wood meets Twin Peaks with a live soundtrack”, Little John Nee performs this brand new show of musical storytelling with The Tea Dance Triode (Jeremy Howard and Fionn Robinson ). On the May 25, 2018, Kate Bradley is opening up a Tea Emporium in Tullyglen - a remote village where everyone has a story and no one wants to tell it - the sort of place where world weary beatniks, bomb-makers, old hippies, contrarians, suffragettes and fugitives retreat to start afresh. Little John Nee is a writer and performer based in Co Galway. A prolific and much-loved creator of work for theatre, he was elected to Aosdána in 2016. His style of theatrical storytelling with music has won him international recognition, with his Rural Electric being described by the Guardian as “a masterpiece of storytelling”. Little John’s shows are always a real treat and this promises to be no exception. Don’t miss it. Little John Nee brings The Tea Dance to the Linenhall Arts Centre on Thursday October 18 at 8pm. Booking advised. Tel: 094 9023733 or online at www.thelinenhall.com The Linenhall Arts Centre acknowledges the financial support of the Arts Council in making this event possible.